Like the other Adventure Pack sets they were a way for Hasbro to bundle excess stock, in this case carded accessory sets together. They were available in multiple configurations. There has been some question about whether the footlocker sets were issued or only prototyped, but the example show above show that at least a few made it to market. The ultra rare merchandise assortment above appears courtesy of Joezeta. 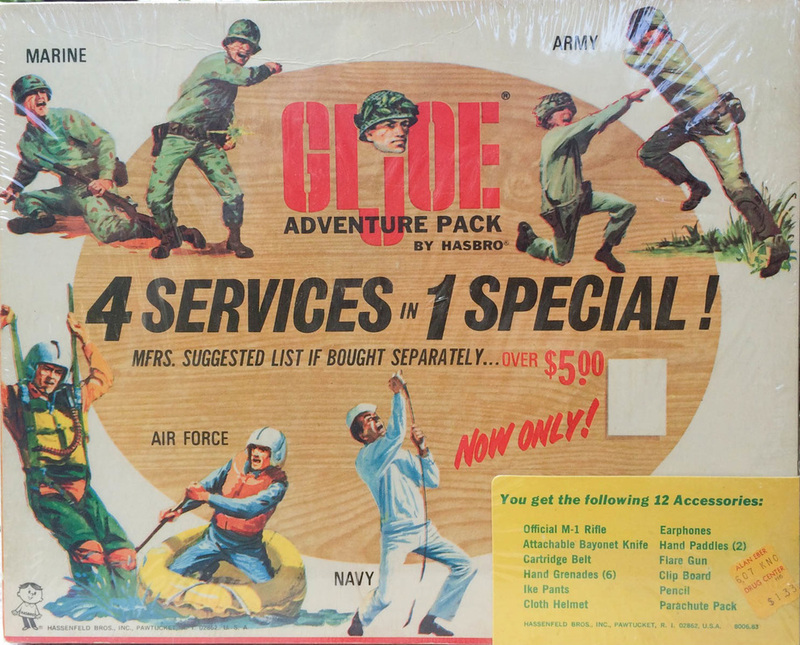 Be sure to check out all his GI joe items available for sale here! Below, the 1968 8000.83 locker, still sealed. Image courtesy of Jay Lee. You can visit his fantastic blog here! Below, 8001.83, courtesy of eBay seller littlemarz. 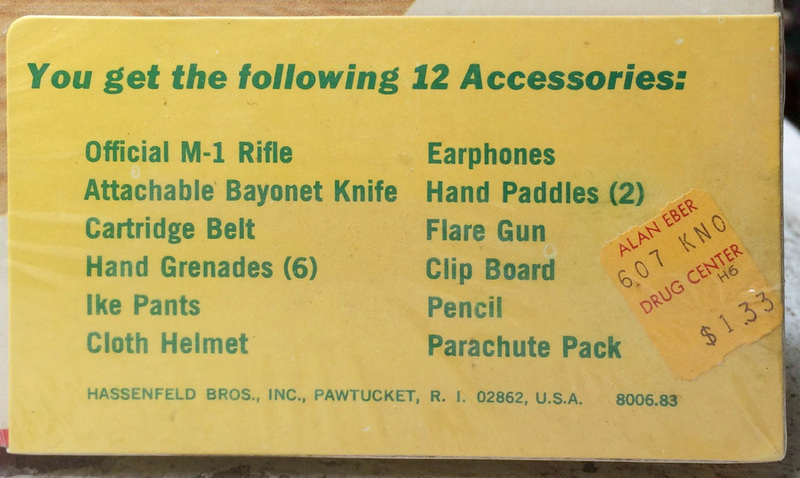 The 4-Services-in-1 Special packs (below) were like the Special Value Sets in that they used a standard box top with an additional tab in the corner that showed the contents. This tab was just shrink wrapped to the box, whose edges were not even joined, like the other boxes in this series. Inevitably, these side panels were lost and I am unaware of an example currently in the collector's market. Left and above, a beautiful sealed 4-in-1 box courtesy of Jeff Kilian. Note the side tab that was set on the box and held in place by the cellophane.